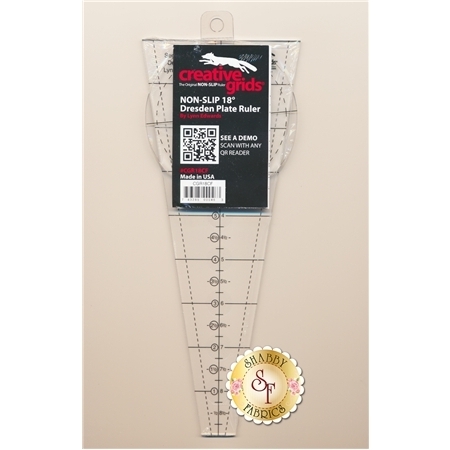 This 18° circle segment ruler is used to cut 20-petal round or pointed Dresden Plates from strips with no waste of fabric. Each petal can be cut up to 8 1/2" to create Dresden Plates up to 16 1/2". Fan blocks can be created by combining five segments. 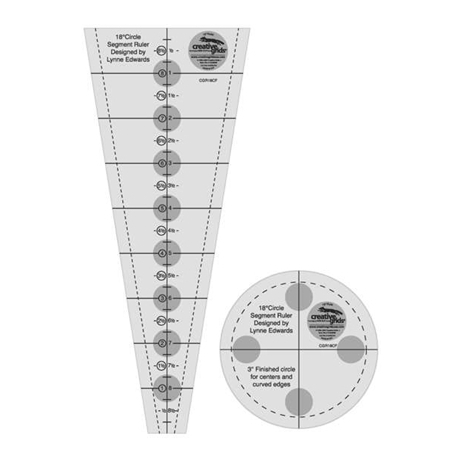 A circle template for the center is included. Creative Grids' exclusive embedded gripper circles help hold the fabric while cutting when pressure is applied.